WE EXHIBIT A BOOTH AT WIRE DUSSELDORF 2018 FOR THE FIRST TIME!! Join us on stand 12A71!! We are going to exhibit a booth together with M/S.Saikawa Co, Ltd. at International Wire and Cable Trade Fair held in Germany from April 16th to 20th 2018! 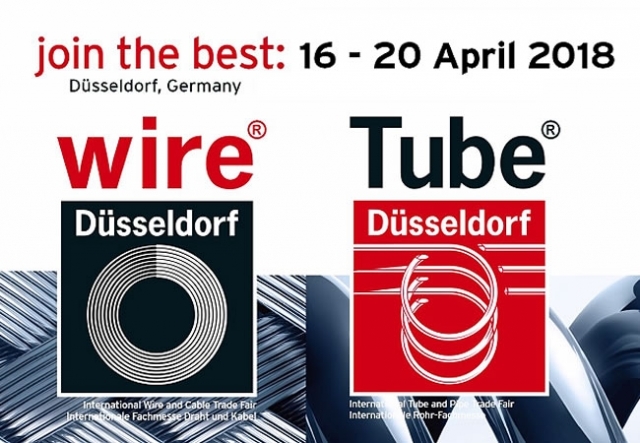 What’s International Wire and Cable Trade Fair “WIRE DUSSELDORF 2018” ? International Wire and Cable Trade Fair “WIRE DUSSELDORF 2018” is the biggest Wire and Cable Trade Fair in the world held in Germany once every 2 years. There will be not only wires, cables, optical fibers and springs but also measurement and the latest technologies as well as machines that produce those products altogether at the exhibition. It is a rare opportunity for you to actually get to see the wire drawing machines, stranded machines and large equipment such as extrusion machines at the vast exhibition space! There were 1337 companies exhibited from 53 countries in the previous event. The number of visitors was about 37,000 with space to 7 halls. We will keep you updated for more details time to time. ▼Here is the basic information of Wire 2018 International Wire and Cable Trade Fair. We will be closed for the Winter holiday as below.